The cost for the book is $5, plus shipping and handling. If you live outside of the US, please email us (nhleague@nhcrafts.org) to order, as the shipping costs will differ. 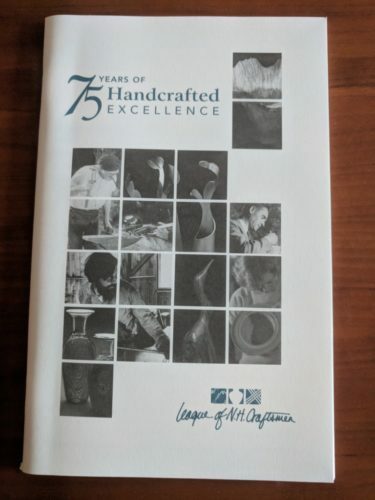 Read more about the events and people who transformed the League into a remarkable arts organization for craftspeople and craft enthusiasts. This publication was compiled to celebrate the League’s 75th Anniversary in 2007.